A VACATION RENTAL IS NOT A HOTEL! Is a hotel a vacation rental property the same? Although there are some similarities between a hotel and a vacation rental, they are two worlds apart. Yes, they both offer a place to sleep but the product is completely different. It’s like the old analogy of comparing apples to oranges when it’s also the same when it comes tomarketing vacation rentals and hotels online. Yes, apples and oranges are both are fruit, they both are edible, they both give your body energy but they taste totally different. If you ask a waitress for an orange and she serves you up an apple, your response will likely be “that’s not what I wanted”. This is the same when trying to advertise a vacation rental like a hotel. Are you being taught to sell your apples like oranges? I’m always looking for ways to improve our rental owners exposure and home ownership experience. In my research I often find my self troubled when I learn a vacation rental owner is following bad marketing advice. In most of these cases the rental marketing “help” is coming from a so called “advertising guru” or rental marketing company. Poor holiday home owners blindly use these hotel marketing tips for their rental advertising campaigns. The sad truth is owners end up worse than they did when they started looking for some help. This is a problem for me and very concerning as a professional vacation rental marketing consultant. This bad advertising advice can cause investment home failure for investors and their families. Foreclosures and investment failures affect the vacation rental industry negatively as a whole when investors have trouble making returns on those short term investment properties, its never good for business. I’m reminded when the recession first hit and the real estate market crashed. Vacation home owners were really struggling during this time and it was “sink or swim” for vacation rental owners. Unfortunately there is still evidence of the casualties in the sea of abandoned rental homes for sale in the real estate market today. However the rental owners that were clinging onto sound marketing and investment advice are still standing strong today, maybe you’re one of them, if so I’d love to hear your story (leave a comment below). Many of the investors that failed in their venture were following bad advice and a weak business model. Ask any successful entrepreneur and they’ll tell you marketing is key to any successful business plan, for this very reason you need to heed sound marketing advice to avoid wasted efforts, time, added stress and investment failure. Being in the business for a long time I have seen and heard it all. What I have observed is in most instances; by the time a vacation home owner starts looking for vacation rental marketing help they are already in the “danger zone” and if their last ditch efforts to market their vacation rental fails they are often left with little resources to change their rental situation ending up in foreclosure or paying their rental fees from their personal funds, which can be an extremely stressful situation. There are several ways you can incorporate hotel marketing strategies into your vacation rental marketing campaign that will actually work, in fact I explain useful hospitality marketing tips that can be used in your rental marketing effectively in my new book “Vacation Rental Marketing Secrets No One Will Tell You”. But always remember don’t try to be a dog if you’re a cat. Tip: Look at the vacation rental marketing advice does it seem logical for a vacation rental owner to apply the promotion suggestions. I recently read an article online telling home owners to pay for awards, certifications and travel memberships that are designed more for hotels. The cost of such resources recommended, were just impractical for the single vacation rental owner, some of the certifications were between $500 to $1000 per year, that’s just crazy! There are ways to obtain similar effects without the high prices of products designed for hotels. Hotels have a larger income potential therefore those may be easily justifiable, but for you a vacation rental owner? I don’t think so! If rental owners waist their valuable vacation rental marketing dollars on trinkets and less important wares it comes straight out of their rentals marketing budget. I don’t know about you but I don’t have even a single dollar to waist on marketing that doesn’t produce results. Tip: Considering whether you should implement a particular vacation rental marketing strategy? Ask yourself if the rental marketing idea is more appropriate for a corporate style hotel or property management business? Is it logical for a small individual rental owner trying to get the most they can with limited budgets? Marketing is not one size fits all, if it looks like it doesn’t fit get don’t even try it on. Tip: Evaluate the rental marketing source and ask yourself lots of questions. How many years has the vacation rental marketing firm been helping home owners get bookings. If they don’t have an established history of helping real vacation rental owners, than don’t rely on their “rental marketing advice”. Tip: Get in touch with other vacation rental owners that can confirm the rental marketing plan is air tight! Verify from multiple sources that the rental marketing has been proven to work by “vacation rental owners” not from an owner of another form of lodging like a hotel or other business. 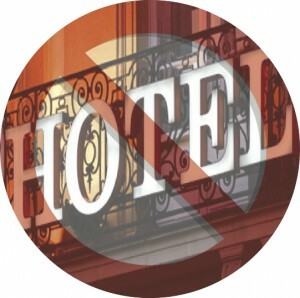 What may work for marketing hotels online, will not always work for vacation rental properties. Tip: It’s best to rely on brands for advice rather than an individual. A brand is a company a company is an organization of people working toward one goal. Brands spend money on their research and have larger budgets for their marketing experimentation. A company brand is just more reliable, you can go to McDonalds order a meal and you already know what it taste like before you sink your teeth into it. They’re predictable and the McDonalds brand has spent alot of resources to become reliable to its consumers, there is an entire team that worked together to deliver on your expectations and needs. Sign up for newsletters from brands that are established and predictable. When relying on an individual or freelancer to help you with your marketing poses its risks, In essence you’re putting your vacation rental business’s success in the hands on an individual. remember, people get sick, people have families and people have problems a brand is just more trustworthy and reliable. Tip: Investigate to tell if the marketing information is being “repackaged” for vacation rental owners. This is an old trick from hotel marketers. Some hotel marketing agencies who market hotels are trying to camouflage their hotel marketing tips as vacation rental marketing tips. This is a big issue they take the marketing material for hotels and change words like hotel to vacation rental and now they have a new audience of people to sell their services, products, reports, e-books or adverting services the problem is you are not a dog you’re a cat. This entry was posted in Vacation Rental Marketing and tagged advertise rentals, advertise vacation rentals, free vacation rental advertising, free vacation rental marketing, free vacation rentals advertising, holiday home marketing, holiday home promotion, holiday rental advertising, holiday rental promotion, hotel advertising, hotel marketing, jay william, rental advertising, rental marketing, vacation home marketing, vacation home promotion, vacation rental blogs, vacation rental expert, vacation rental marketing, vacation rental marketing blog, vacation rental marketing campaign, vacation rental marketing expert, vacation rental marketing ideas, vacation rental marketing plan, vacation rental marketing secrets, vacation rental marketing strategy, vacation rental plan, vacation rental promotion, villa advertising, villa marketing, villa promotion. Bookmark the permalink.